Filter and sort your compliance by type, category, plant, portfolio etc. 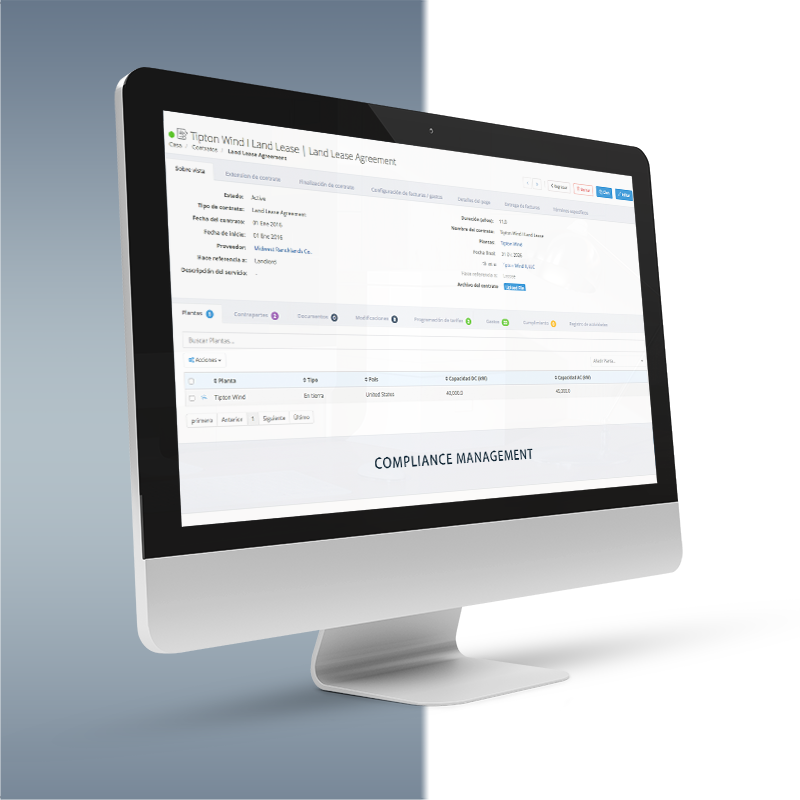 Here are some examples of how 3megawatt clients use the BluePoint compliance module: tax equity compliance, loan compliance, METI compliance, permit compliance, property tax payments, sales tax declarations, NERC/FERC compliance. Are you interested in compliance management for renewable energy projects? Contact us to see a live demo.